On Saturday night, the team ventured out in the torrential rain and winds to the Ageas Bowl, Southampton for the 3rd annual Hampshire Wedding Supplier Awards. 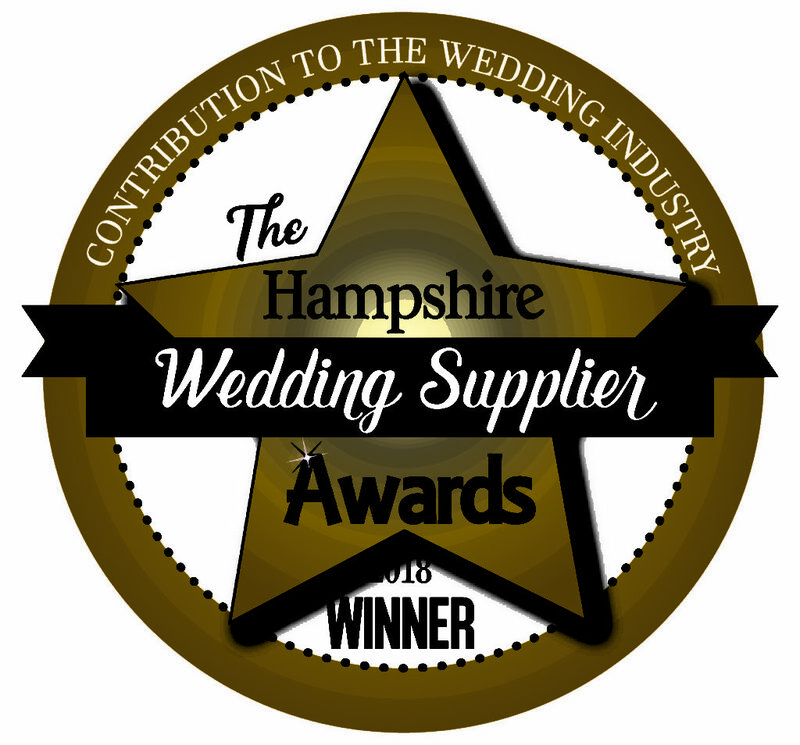 Creatiques were nominated for the ‘Bridal Wear’ award, against a selection of other Hampshire based Bridal Retailers. 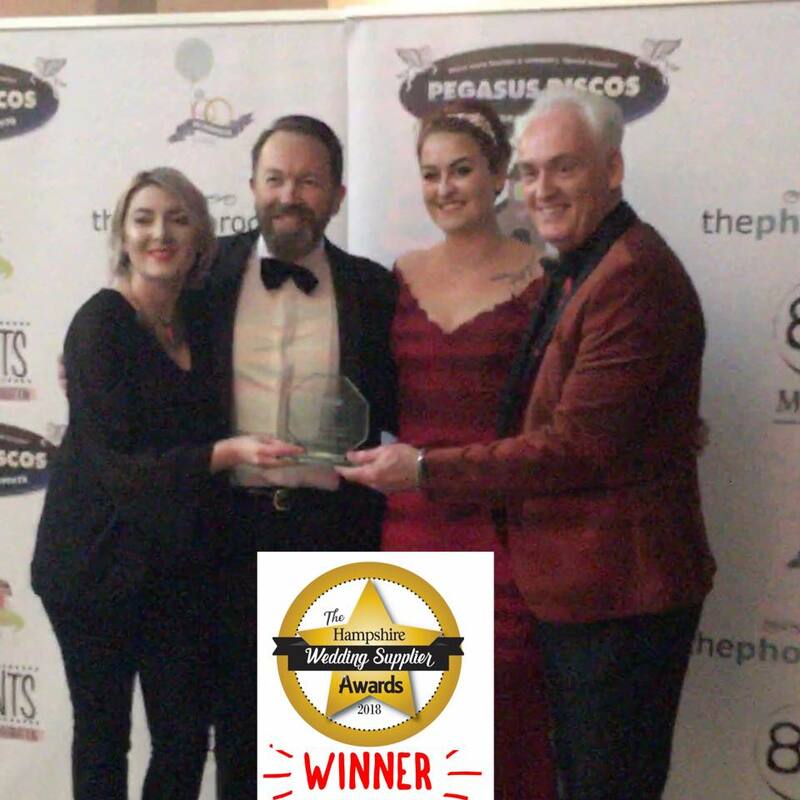 By the time the winner of that award was announced, as a team we were already buzzing as Andrew (Creatiques owner and face of The Hairdressir, our in house Hair Salon) won ‘Best Hairdresser’ – the second award of the evening. The results were announced, and Creatiques weren’t named as the best Bridal Shop, a small defeat for the team but that wasn’t going to stop the team enjoying the rest of the evening. As the awards were coming to a close, the 2nd to last award of the night was a surprise category, that wasn’t available to enter- ‘Overall Contribution To The Industry’. There were no shortlisted companies, just an overall winner and much to the teams surprise ‘CREATIQUES BRIDAL BOUTIQUE’ was announced as the winner- the biggest award of the night! Of course, we were absolutely over the moon. An award we never expected to win, and another testament to our hardwork and dedication to the industry!